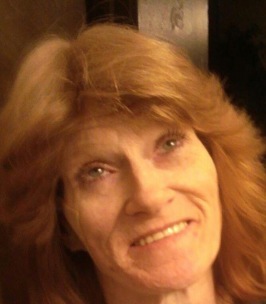 Tamara Kay Blakemore Bertschy, 56, was born June 6, 1962 to Jimmy E. Blakemore and Mary Jody Vaughn Blakemore. She went to live with her Lord and Savior Jesus Christ and reunite with her brother and dad in heaven. She is survived by 2 sons, Wesley Blakemore and fiancé Alyson Tyler and Robbie Bertschy, both of Centerton, Arkansas; her mother, Jody and companion Charlie Fowler of Springdale; a brother Jerry Blakemore and wife Cindi of Pensacola, Florida; and a very special friend, Janet Comfort who moved with Jody to help so Tammy could remain at home. Tammy served in the United States Navy during Desert Storm. Her ship was in port at Jetty Saudi Arabia during that time. She loved flowers and gardening and hunting arrowheads. She was a member of Berry Street Baptist Church for many years and was in the Faith Sunday School class. In lieu of flowers memorials may be made to Berry Street Baptist or Gideons International. Tammy was preceded in death by her father and 1 brother, Ron Blakemore. A memorial service will be held at 10:30am on Friday at Berry Street Baptist Church in Springdale, Arkansas. To send flowers to the family of Tamara Kay Bertschy, please visit our Heartfelt Sympathies Store. Tammy was a beautiful soul! Always thinking of others. She helped me change my life for the better and will forever live in my ❤. My prayers are with her family. Peace to you my good friend.✌🏼️ Thank you for always making me smile and laugh. Prayers and comfort to the family. I am so sorry for your loss. My thoughts and prayers are with the family. Jody was one of my nursing instructors and then I met and worked with Tammy. She was always smiling and happy and had an energy that uplifted those around her. I know she will be deeply missed by everyone who knew and loved her. Many good times and fond memories to cherish and always have her close in heart.